Have you ever given much thought to plastic? I know there was a push for a while to recycle and they categorized the plastics into different number categories based on whether they could be recycled or not. You had your number 2 recycle plastics going in one bin, soda bottles in another.. remember that prior to just dumping all of our recyclables together? “Plastics are synthetic materials created by linking together into polymers - i.e., polymerizing - molecules of monomer raw material derived from petroleum, natural gas or coal. Polymers alone rarely have the physical qualities to be of practical value, so most plastics contain various chemical additives to facilitate the manufacturing process or produce a particular desirable property, such as flexibility or toughness. Of the thousands of chemical additives, one type commonly added to plastics are 'plasticizers', which are softening agents making it easier for the polymer chains to move and be flexible. For example, the commonly used plastic, polyvinyl chloride (PVC) can contain up to 55% plasticizing additives by weight. These are generally phthalate chemicals. Phthalates are known to disrupt the endocrine system, have been linked to numerous health conditions including cancers, and some have been banned in Europe and the U.S. for use in certain products, such as toys. As such, additives are a key contributor to the negative health and environmental effects associated with plastics. Another common plastic is polycarbonate, the primary constituent of which is bisphenol A (BPA). BPA itself is the concern in this case, as it too is an endocrine disruptor with links to numerous ailments. Peer-reviewed scientific studies have linked BPA to health problems that include chromosomal and reproductive system abnormalities, impaired brain and neurological functions, cancer, cardiovascular system damage, adult-onset diabetes, early puberty, obesity and resistance to chemotherapy. Sure makes me think more about the cups and bowls in my cupboard!! Life Without Plastic can help with that! I reviewed these bowls that were not only darling, but safely made of stainless steel on the interior. 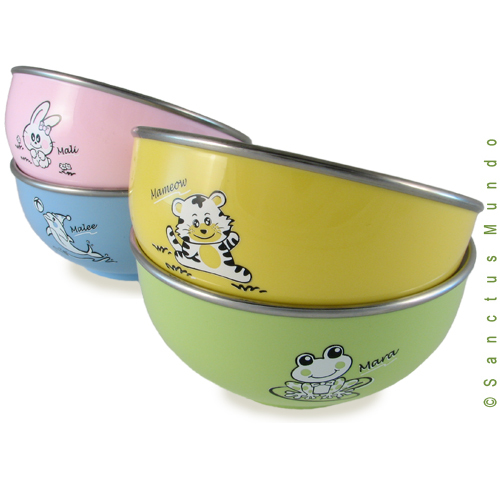 Made in Thailand by Sanctus Mundo http://www.sanctusmundo.com/ through ethical sourcing. Products bearing the Sanctus Mundo brand have been tested for toxins, and all children’s products are certified compliant with the United States Consumer Product Safety Information Act (CPSIA) requirements for lead and phthalate testing. 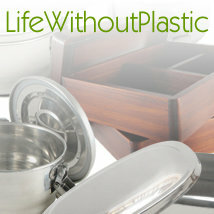 Life Without Plastic has a plethora of products for your entire home. The only trouble I could see someone having with these bowls is they obviously aren’t microwave safe. I am sure I will be learning about why microwaves aren’t good for our bodies either, so really that is ok. Also they are not dishwasher safe. Dishwashers waste a lot of water and electricity, especially when I have a household of little dishwashers, so again.. no big problem! With companies like Life Without Plastic advocating for families today, we can be confident in purchasing well researched products at affordable prices. It was a pleasure reviewing this company! Life Without Plastic is offering my readers a set of these wonderful bowls!! Click on the Read More to take you to the Rafflecopter for your chances to win. USA and Canada. Giveaway Ends at midnight March 16th. I received a product for review purposes. I did not receive any form of compensation. The opinions stated here are entirely my own. I enjoyed this review and will check out the links for sure! I try to stay away from plastics these days but haven't eliminated my use of them completely, they are everywhere. And I cringe at all the times I used to microwave leftovers in plastic!! Yikes! I think their dolls are incredibly cute! I'm most interested in the airtight storage containers. Storage containers are really nice! I'm particularly interested in their storage containers, but I feel that things being dishwasher safe is very important because running full dishwashers without heated dry is usually more energy efficient than hand washing with running water. I like the 800 ml (27 oz) Klean Kanteen REFLECT Mirror Finish with Bamboo Cap. I could really use some of these. I LOVE the little helper toys. So cute! These are so cute! I am trying to transition out of plastic as well...every little bit counts! I like all the stainless steel pan too! I really like their stainless steel hot meal container, but many of their other products caught my eye. I would love to host them on my blog too. As I've been paying more attention to packaging, I see waste, especially plastic waste, all the time. I like their lunch boxes! I like the stainless steel trays (both the 2 compartment and the 6 compartment, that is not currently available). I like the Klean Kanteen Bottles. I like their Glass Bottle in a Bamboo Sleeve with Flip-Cap! Their sporks are too cute. I think the Maple Wood Utensils are nifty! I would love to try these containers! I love glass storage containers, but could only find them with plastic lids....oooh want this so bad thanks! I love the Round Stainless Steel Airtight Take-Out Container with Removable Dividers.